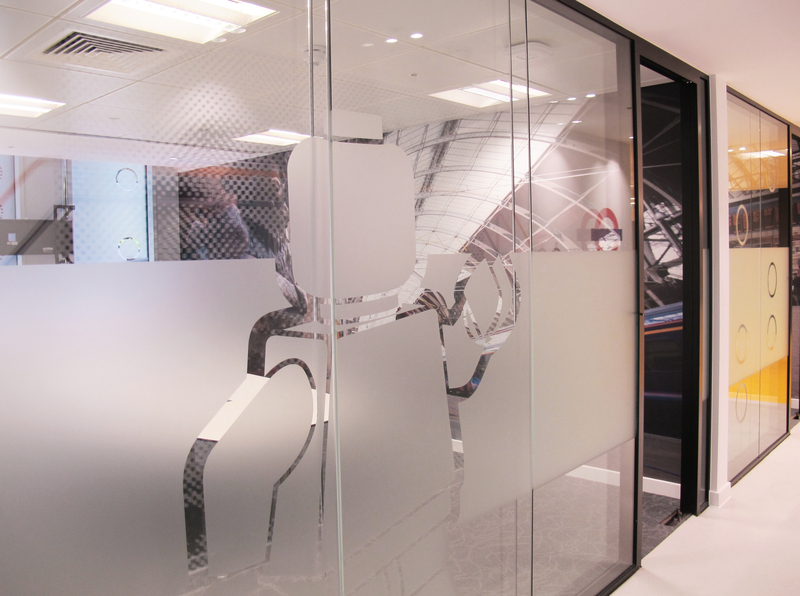 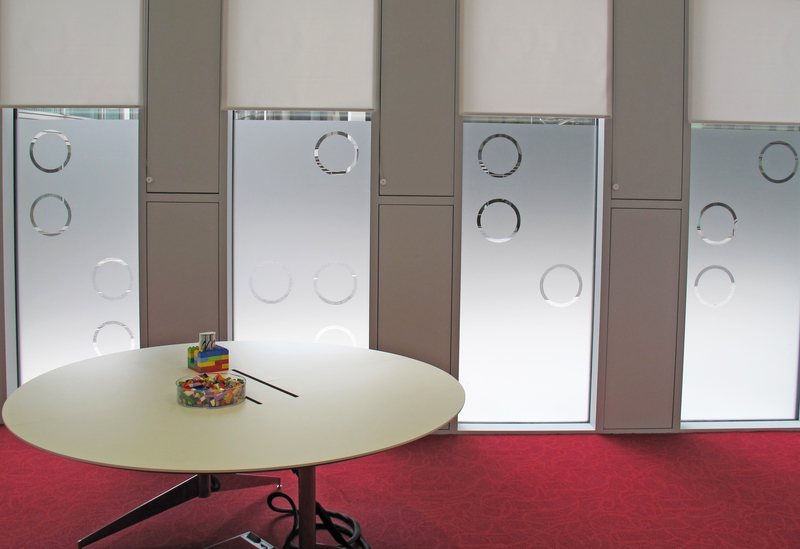 Intricately cut frosted vinyl to all interior and exterior glass. 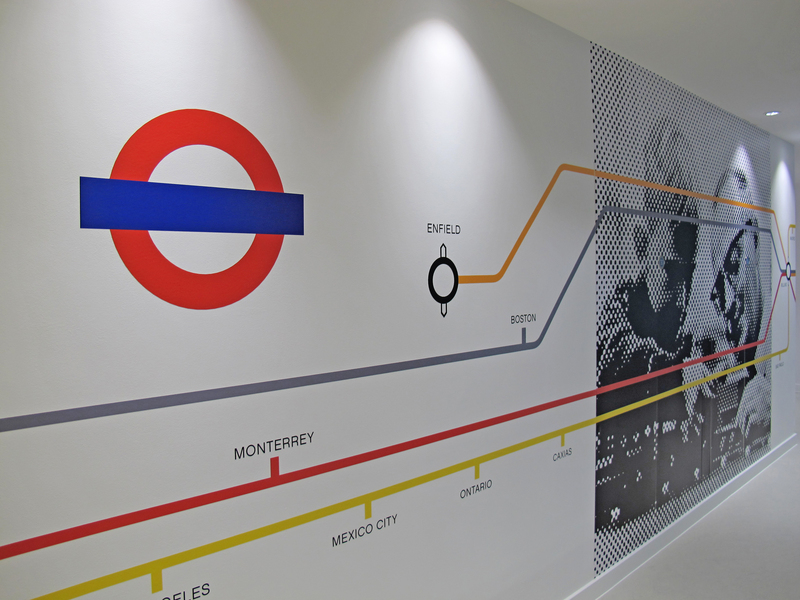 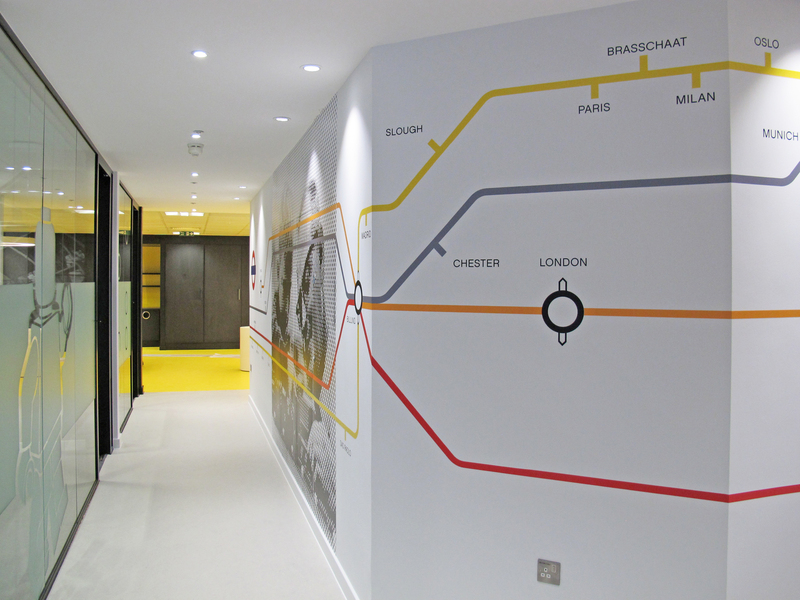 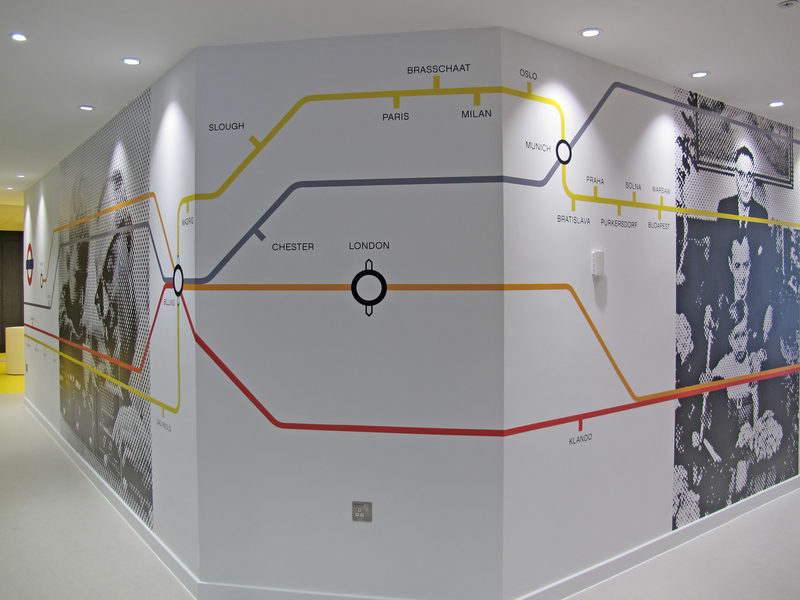 Print, cut wall graphics with overlaid cut vinyl. 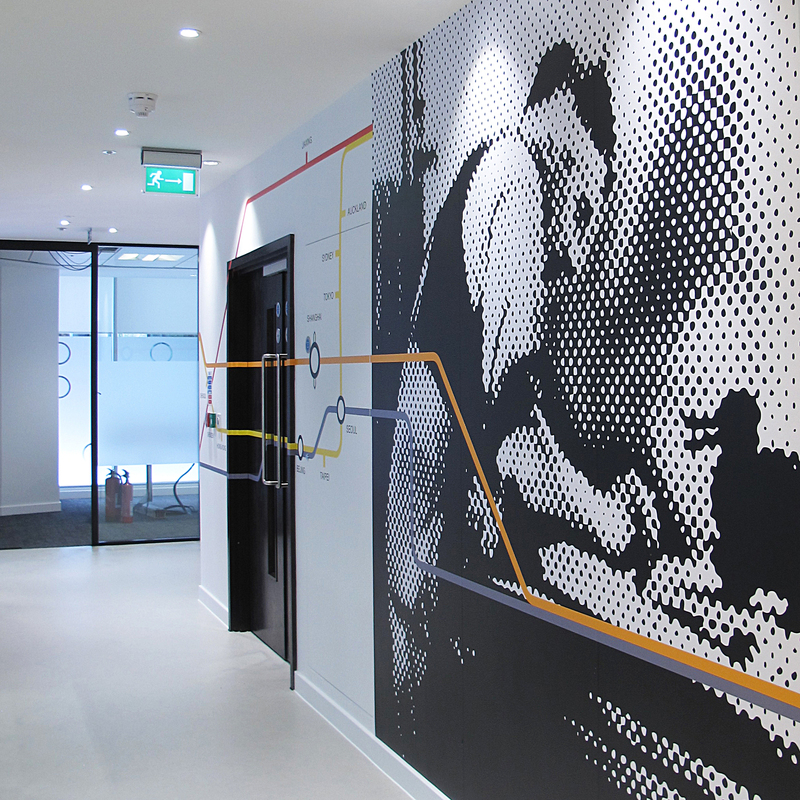 Large black and white and colour wall images. 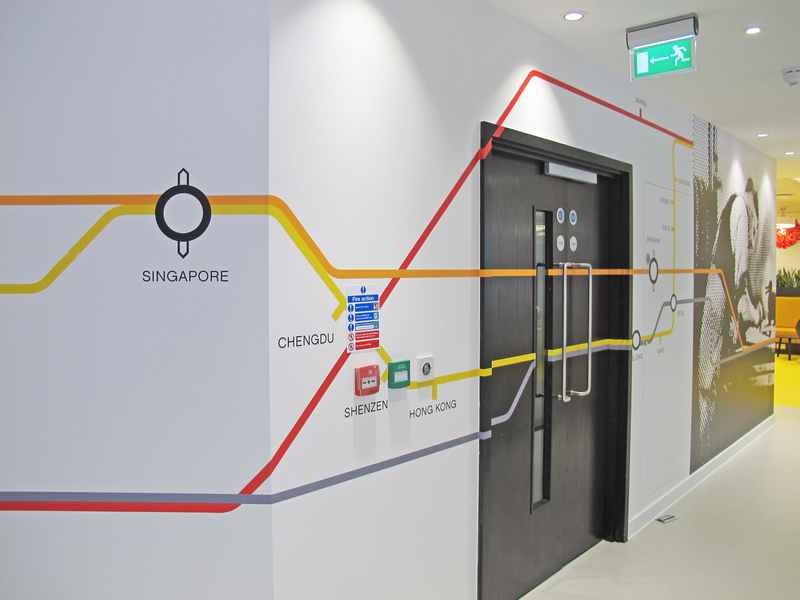 Production and installation by Ltd.